Tyaweb Solutions Ltd is a Kenyan IT company that provides reliable and timely customized solutions to businesses. Our IT consultancy firm offers modern enterprise solutions that assists businesses to improve the productivity of their businesses at an affordable cost. Our team has been providing an extensive range of IT services in Kenya and Eastern Africa to meet the dynamic and unique needs of every client. Tyra POS converts your PC into a powerful Point of Sale system with inventory control and accounting - no hidden extras. Multi-currency supported on POS and sales screens. Convert your windows based computer in to a powerful Point of Sale system You can attach point of sale printer, bar-code scanner, credit card reader, pole display, scale, cash drawer to your computer and control them from within Tyra POS. TyraWeb Ltd is a full-service web and software design agency offering affordable website and software design and development, ecommerce websites, logo design and online marketing solutions. We specialise in working with businesses throughout the world. Established in 2013, we are a website design and development company trusted by leading brand. We are Kenya's leading web and software design company. If you conduct your business through online you must have own website where you can meet your potential clients. Every website should be kept updated and must be in good condition to work on it. You will get slow halt on your traffics if you have outdated materials on your website. All the links on your website must work properly to increase the traffic rates. Website maintenance services are the ultimate option of every online businessman. Tyraweb not only fixes all kind of bugs but also can easily create enhancement on the website to increase traffics. web maintenanceIt has the capability to grow online credibility through interactive sessions with customers. If you take assistance of web maintenance services they will dilute the need of a website designer. We offer different schemes to our customers according to their need and budget. Improper information, broken links can piss of possible clients so it will be better to take assistance from website maintenance services in order to grow the business. You need to keep in mind that business oriented services like credit or debit card payments, online ticket bookings, car rental services, reservation of hotels should never stop working. As in every online business it is crucial to maintain websites for further growth remember that broken links and wrong information can be the reason unsuccessful online business. 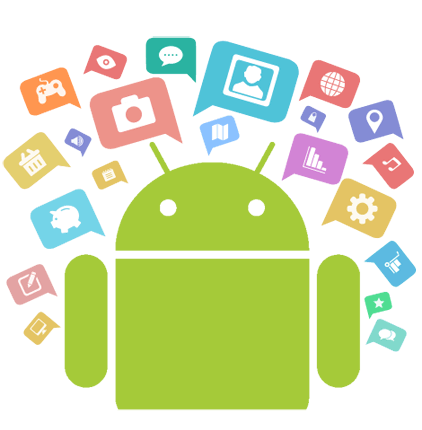 Mobile App Development is our core proposition, we understand users and what they expect, an app is far more than a ‘nice-to-have’. We are well known for our passion, enthusiasm & ability to think up the best features, come up with the most innovative ideas and well and truly blow minds with our suggestions! Our personality and relaxed approach put us well ahead of the rest. Call us to experience it for yourselves! At Tyraweb we make apps because we love to! Not because it’s our job, its more than that, it’s an obsession, to get perfection and beauty radiated throughout all we do for ourselves and our clients, every single day we do it! We create custom logos for your institution, companies, websites and organisations. It takes no more than 1 day and we develop to our customer satisfaction. A logo design represents a company and its services. Undoubtedly, its the first step towards building an online business recognition. 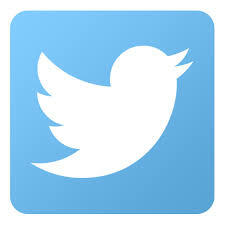 A logo plays an important role in making a business memorable and approachable for customers. It helps in building a strong and unique corporate identity of a business. Also with time, this concept of getting a logo design is becoming so important and unavoidable for every brand or business. With our custom logo design services we are able to provide you with the most creative and unique looking logo for your business that gives your company an inimitable look and identity. You can choose from our wide array of logo design services along with our company logo design service that are planned to satisfy all our clients coming with different requirements. We offer advanced Search Engine Optimisation in Nairobi, Kenya which extends to the whole of Africa and worldwide, which involves on-going processes in which we continually improve your websites ranking. These processes include modifying various elements of your website, negotiating links to your website and carefully submitting your website to appropriate search engines and directories. To enjoy the best search engine rankings possible, you need a professional and comprehensive website optimization strategy. Tyraweb can take care of every aspect of your site's SEO, ensuring that all of the details are dealt with properly. With our superior web site optimization services, you'll soon be enjoying great rewards. Your website will be optimised every month for maximum search engine exposure. Each page will be optimised carefully and, where necessary, re-submitted to important directories and other websites. SEO may also require modifications to your web page content to ensure particular keywords feature prominently within the text. 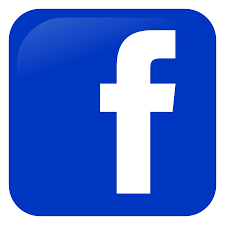 You will be continually updated with details of any major changes we've made to give you the opportunity to comment on anything we do. Tyraweb provides you with a Search Engine Optimisation service designed to generate traffic to your website. We are happy to assist customers and advise on the best strategy for marketing and SEO for their business sector and audience. Services range from keyword traffic and competition analysis to link building campaigns and detailed page optimisation analysis. We can provide in-depth analysis on the performance of your website and advise on how to improve and see conversion rates grow. There are multiple reasons why your website won't appear on the first page of Google, and so there are just as many techniques to get it there, some are free, some cheap, some expensive, some once-off, some on-going, and for this reason, there are entire companies dedicated purely to website marketing. 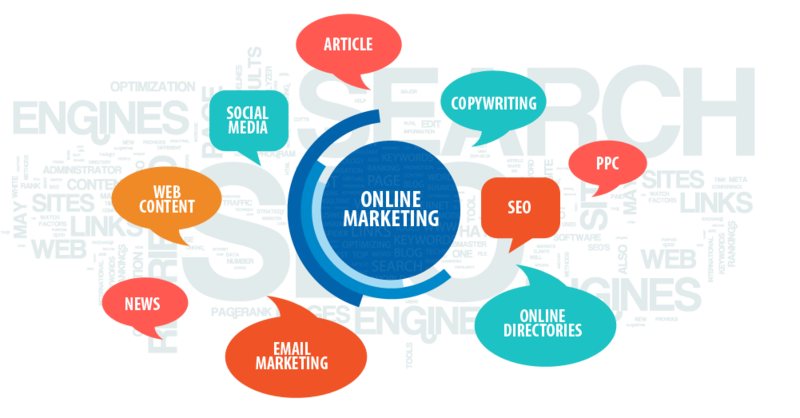 An Internet marketing company can refer to any organisation whose primary purpose is to provide clients the service of better advertisement on the web world. The advent of Internet stormed and changed many a things that had, previously, been done in a more tedious and time consuming way. Marketing is one of those fields, where businesses thrived when Internet opened newer and newer doors. Search engine optimization services are perhaps the most popular way of marketing online. 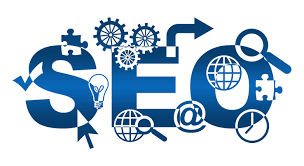 The exact procedure shall be discussed later, but it would be fair to know that search engine optimization involves the results that are yielded by any search engine in Internet. Similarly PPC services are extremely useful too, when it comes to Internet marketing. Here, PPC means nothing but Pay per Click. Library Management System (LMS) is a software used to manages the catalog of a library. This helps to keep the records of whole transactions of the books available in the library. AmpleTrails provides Library Management System which is very easy to use and fulfills all the requirement of a librarian. 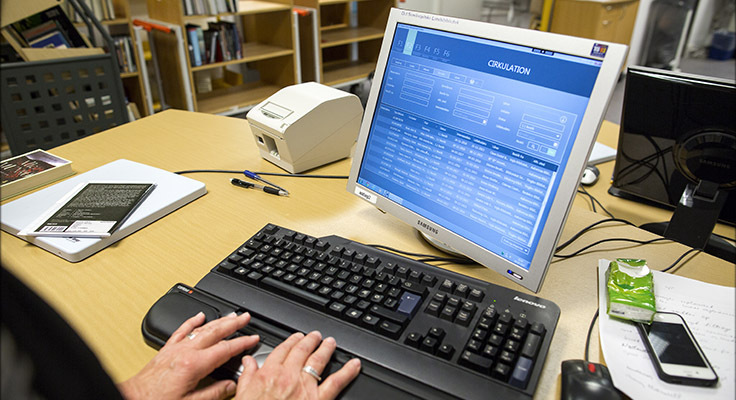 Sytec Library Management System (SLMS) ensures a user-friendly administrative system that’s cost-effective in operation. This ease of use provides staff with effective support for procedures that include administrative search, and advanced decision-making support with regard to purchasing, booking, dealing with library materials and fees. The system therefore frees up more time for other tasks.! TyraWeb developers have created open source web templates that can be easily modified to create a website. They are free to download and use. We offer IT and software consulting services meeting to the needs of diverse companies. Whether it is web site design and development, software solutions, web analysis or internet marketing - to enable your growth and help it evolve with the changing demands and challenges, we extend consultancy solutions that are timely, adequate and effective.